Crispy vegetables wrapped with rice paper served with Plum chili sauce. Chicken, potato and onions in puff pastry. Choice of vegetable or chicken. Served with soy sauce. Stir fried rice noodles with eggs, bean sprouts, scallions and peanuts. With your choice of protein. I might be spoiled because they're up the block, but delivery is so fast. Thai iced tea is reliably good, sometimes fried appetizers can be oily, but you know, they were fried. I always order pad see ew or drunken noodles, and they always hit the spot. The most tasty Thai food ever!! First time ordering from them, definitely wont be my last! Delivery arrived much sooner than expected, large portions, and not cheap with their meats! U have a very happy customer here! Thank you! this place is our go-to for thai. food is delicious, delivery is so fast. We always gets the duck pad thai and massaman curry. recently we tried the spicy noodle soup and was great too. five stars! I love this place! Best Thai Ive found next to Klom Klorm in Bushwick. This place has way more options though! Finally some good thai food!!! I'm so sick of the Chinese / Thai / Japanese food restaurants because, for whatever reason, the food always tastes Chinese food. I dont want water chestnuts in my padthai ug! Golden bags are delicious as well as the curry noodle soup (** MUST ASK TO SEPARATE THE NOODLES FROM THE BROTH **) I also enjoyed the thai donuts. So happy this is available to order from now. Prior to Note Thai, I would drive to myrtle avenue for decent thai. Happy Happy joy joy! Delivery was on time, food was hot and delicious! Hit the spot in terms of spice :) One of the only Thai places (at least in the Bushwick area) that @) advertises a noodle dish with peanut sauce. Exactly what I was looking for. There are several Thai restaurants in the neighborhood that we’ve tried but Note Thai is by far the best. Great food, speedy delivery, and always accurate. This restaurant has become a weekly staple. 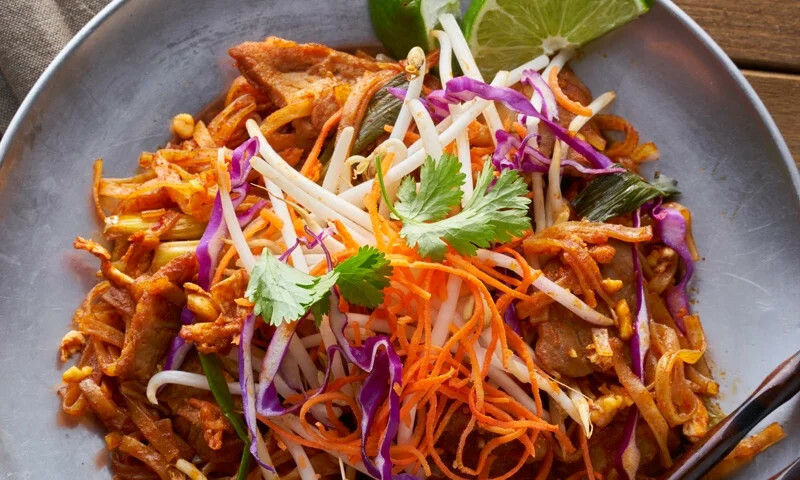 Whether you're craving a quick bite or looking to treat yourself to a delicious meal, you can now order your Note Thai favorites for takeout or delivery.